Erik Alfred Leslie Satie was a famous French composer and pianist who is remembered for his unconventional and often humorous style of music. 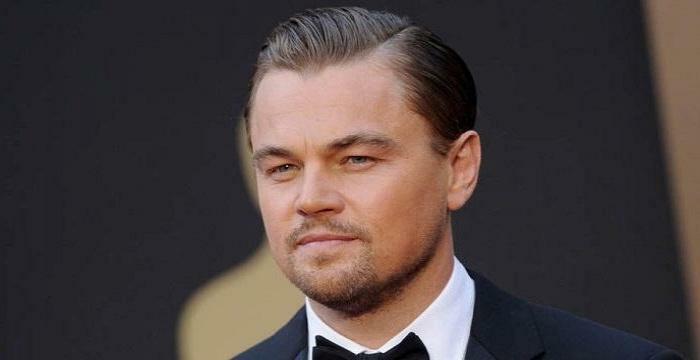 Read this biography to know about his birthday, childhood, achievements, family life and other fun facts. Erik Alfred Leslie Satie was a famous French composer and pianist who is remembered for his unconventional and often humorous style of music. He was born in the middle of the 19th century in France and began his musical education under a local church organist. He enrolled in the Paris Conservatoire at the age of 13, but was dismissed as a very insignificant and lazy student after two and half years. He later reentered the Conservatory, but failed to change his teachers’ opinion and left within year. He then joined French military but was discharged after a few months due to a severe case of self-inflicted bronchitis. After recouping, he began his career as a pianist at the Le Chat Noir Café-Cabaret in Montmartre, struggling all the while to gain recognition and financial stability. He became famous at the age of 45, when Maurice Ravel and Claude Debussy played his works at concerts. Very soon, musicians of the younger generation began to appreciate his work, which also lead to the formation of the ‘Les Six’. However, his work was truly recognized only after his death; and within a decade of his death, he began to be hailed as a genius. Erik Alfred Leslie Satie was born in the coastal town of Honfleur in the Normandy region of France on 17 May 1866. His father Jules Alfred Satie initially worked as a ship broker. Later, he moved with his family to Paris, where he became a translator. His mother Jane Leslie Anton was of Scottish origin. She had a musical inclination and wrote a few pieces for piano. Satie was born eldest of his parents’ three children, having a younger sister named Olga Lafosse and a brother named Conrad. Satie’s family lived in Paris until their mother’s death in 1872. Thereafter, they were sent back to Honfleur to live with their paternal grandfather, who brought them up under strict Catholic tradition. As a child, Satie showed an interest in music; and in 1874, his grandfather made an arrangement for him to study piano under the organist at a local church. His teacher Vinot introduced him to liturgical music, especially the Gregorian chant. This early exposure proved to be a major influence on his later works. During his stay at Honfleur, Satie was influenced by his uncle, whom he called ‘Uncle Sea Bird’ because he spent a lot time sitting in his boat. Sea Bird took him to see circuses and plays. On those occasions, he was able to get glimpses of the backstage. In 1878, Satie’s piano teacher left Honfleur. In the same year, his grandmother died, and the children were sent back to Paris to live with their father. His father married Eugenie nee Bametche, a musically gifted piano teacher, in 1879. Around the same time, Satie enrolled in the Paris Conservatoire. Very soon, he started giving auditions to get admission in the piano class, but he failed each time. His teachers found his piano techniques uninspiring, and some of them also called him the laziest student of the class. After two and a half years, he was dismissed from the Conservatoire. During his years at the Conservatoire, Satie had started writing music for piano. The first two pieces he wrote were ‘Valse-Ballet’ and ‘Fantaisie-Valse’. He published them in 1885, numbering ‘Valse-Ballet’ as opus 62 instead of opus 1. Even after being dismissed from the Conservatoire, Satie continued to sit in the biannual examinations to enter the intermediate class. He finally reentered the institution after passing the examination at the end of 1885. However, his teachers’ opinions remained as biased as before. As he was unable to change his teachers’ perceptions, Satie left the Conservatoire in November 1886 and volunteered for army service. He was assigned to the 33rd Infantry Regiment as a reservist. Although his duties were comparatively light, he found his job too onerous for his liking and therefore made plans to leave. Hoping to be dismissed from the army, he began to sneak out of his barrack at night and moved about bare-chested in the cold winter air. As a result, he caught severe bronchitis. In April 1887, he was back to Paris on a two-month medical leave, which was extended several times before he was discharged from the service in November 1887. While recouping at home from his ailment, he started working on two of his well-known works, ‘Trois Sarabandes’ and ‘Gymnopédies’. After completing the sketches of some of his initial works, he began to focus on ‘Sarabandes’, completing it on 18 September 1887. 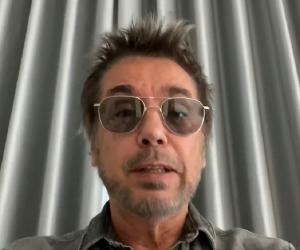 In December, he moved to Montmartre, the bohemian part of Paris, after receiving a gift of 1600 francs from his father. In the same year, he befriended famous composer Claude Debussy. Erik Satie began his life as a pianist at Le Chat Noir Café-Cabaret in 1888. At that time, the cabaret was located at 12 Rue Victor-Masse. There, he acted like a true bohemian musician by dressing up like one and adapting popular music for piano. Concurrently, he continued to write musical pieces, publishing ‘Gymnopédies’ in the same year. ‘Gymnopédies’ was followed by two more works in the same vein, ‘Ogives’ and ‘Gnossiennes’. Although his financial condition continued to remain precarious, and he had to move to a smaller room in 1890, he derived a lot of inspiration from the artistic gatherings at the Café. In 1890, Satie met Joséphin Péladan, a well-known Martinist and author. He had read Péladan’s works while he was recouping at home from bronchitis. By 1891, he joined the Rosicrucian sect and was appointed as a composer and chapel-master of the 'Ordre de la Rose-Croix Catholique, du Temple et du Graal'. In spite of facing financial instability, Satie produced a number of works in the early 1890s, writing most of them in cafes. By 1892, he had written 'Fête donnée par des Chevaliers Normands en l'Honneur d'une jeune Demoiselle’. This is believed to be the first piece written in the style that he is now known for. He wrote a number of pieces for Péladan, and the notable among them were ‘Salut Drapeau!’, ‘Le Fils des étoiles’, and ‘Sonneries de la Rose+Croix’. However, as desired by Péladan, he was not ready to follow the musical style of Wagner; therefore, a conflict arose between the two of them. In 1893, Satie severed his ties with Péladan and established his own church, ‘L'Église Métropolitaine d'Art de Jésus Conducteur’ (Metropolitan Church of Art of Jesus the Conductor). Although he remained its sole member, he started to run various publications in the name of his organization, writing numerous articles and letters for them. Satie's only liturgical work ‘Messe des pauvres’ (Mass for the Poor) was written between 1893 and 1895. In 1893, he wrote some other important works, including 'Danses gothiques', 'Prélude d'Eginhard’, 'Vexations’, 'Prière' and 'Modéré. Among them, ‘Vexation’ became quite popular, earning him great acclaim. Satie had to shut down his church possibly by mid-1895, and his last publication was printed in June that year. In 1896, his financial condition became so bad that he had to move to a small and unheated room at Rue Cortot. In March 1897, while still living at Rue Cortot, he composed ‘Pièces froides’ (Cold Pieces, published 1912), severing ties with his mystical period. After that, the penniless pianist left Montmartre and moved to Arcueil, where he spent the rest of his life. 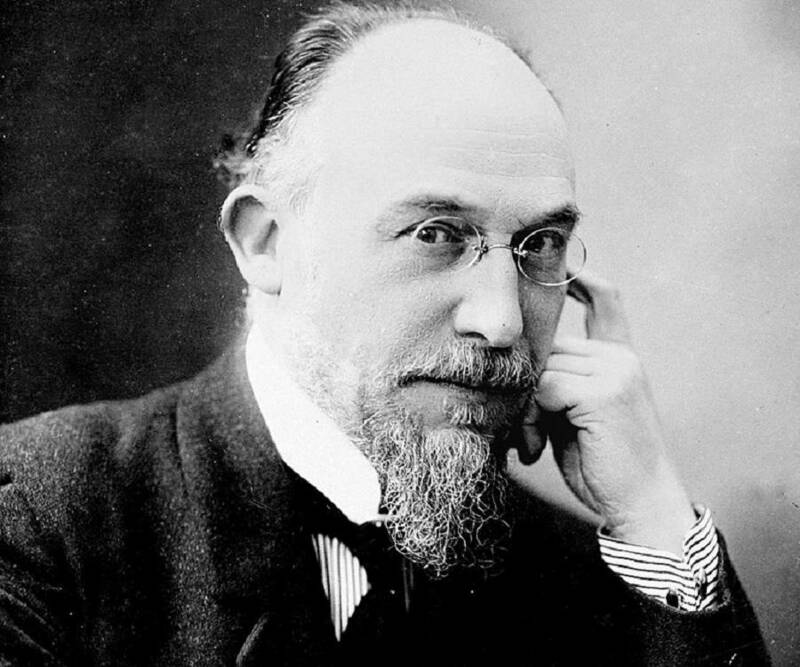 Erik Satie’s financial situation changed from 1899 onwards. During this period, he began earn well as a cabaret pianist. In this capacity, he adapted more than 100 popular compositions for piano and also wrote a few original scores. Among them, ‘Jack-in-the-Box’, written in the same year for a pantomime ballet, is the most significant. 'Je te veux’, ‘Tendrement’, ‘Poudre d'or’,’ La Diva de l'Empire’, ‘Le Picadilly’, ‘Légende californienne’, Geneviève de Brabant and ‘Le poisson rêveur’ etc were some of his most notable pieces that he wrote around the end of the 19th century and the dawn of the 20th century. However, in his later years, he rejected most of his compositions of this period, calling them degraded. In October 1905, Satie enrolled at Schola Cantorum de Paris to study classical counterpoint with Vincent d’Indy and Albert Roussel, financing his education with his cabaret work. He earned his intermediate diploma in 1908. Some of his classroom works during this period were published after his death. Maurice Ravel, whom Erik Satie had met in 1893, founded the Société musicale indépendante (SMI) in 1909. It aimed at encouraging and nurturing new and neglected composers. Ravel had always appreciated Satie’s music, and he also introduced him to many well-known musicians. SMI held its first concert on 16 January 1911; and during this concert, Ravel personally performed Satie’s ‘Sarabandes’ (1887), prelude from ‘Le Fils des étoiles’ (1892), and the third ‘Gymnopédie’ (1888). 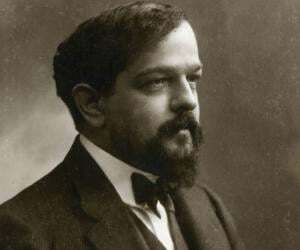 In the same year, Debussy also performed the orchestrated version of ‘Gymnopédie’ in all his concerts. Ravel and Debussy’s concerts helped popularize Satie’s name and made him famous in Paris. His earlier works began to be published, and he finally started to earn a modest income. However, many conservative French critics still refused to welcome him. In 1912, Satie also became famous for his miniature humorous pieces. 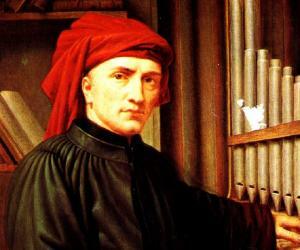 His first work of this genre was ‘Préludes flasques (pour un chien); but its publication was rejected. The legendary pianist withdrew the work and wrote ‘Véritables préludes flasques (pour un chien)’, which proved to be a breakthrough. With time, Satie’s popularity grew and a new generation of musicians began to gather around him, many of whom hailed him as the precursor to Debussy. They preferred his works before his Schola days. Although it made him happy, he was disturbed that his present works were being neglected. He began to look for young artists who could appreciate his present works. He met Jean Cocteau in 1915 and started working with him on Shakespeare's ‘A Midsummer Night's Dream’, producing ‘Cinq grimaces pour Le songe d'une nuit d'été’. In 1916, Satie collaborated with Cocteau, writing the music for ’Parade’, a one act ballet, premiered on 18 May 1917 by Sergei Diaghilev's Ballets Russes. The sets and costumes were designed by Pablo Picasso and through him, Satie came in contact with many other cubist artists. Shortly after the success of ‘Parade’, Satie came across four young musicians; Georges Auric, Louis Durey, Arthur Honegger and Germaine Tailleferre. He began to mentor them, eventually forming a group called ‘Nouveaux jeunes’. It was the beginning of ‘Les Six’, which was officially formed when Louis Durey and Francis Poulenc joined it. Satie left ‘Nouveaux jeunes’ in September 1918 without giving any explanation. From 1919 onwards, he got involved in Dadaism, a European avant-garde art movement. He stayed in close contact with its initiator Tristan Tzara. Meanwhile, he continued to compose music, writing ‘Nocturnes’ between August and November that year. ‘Trois petites pièces montées’, which premiered in February 1920, was his significant work from this period. In June 1920, Satie wrote his last composition for piano ‘Premier Menuet’, publishing it sometime in 1921. In June 1921, he had his significant work, ‘La belle excentrique,’ premiered. Although he did not produce much after writing ‘La belle excentrique’, he remained very popular until his death, inspiring Henri Cliquet-Pleyel, Roger Désormière, Henri Sauguet and Maxime Jacob to form ‘École d'Arcueil’ in 1923. His last compositions were 'Mercure' and 'Relâche', both written in 1924. Erik Satie is best remembered for his 1888 work, ‘Gymnopédies’, which also symbolized his departure from the popular salon music. He was inspired to write these three pieces for piano when he read ‘Salammbô’ by Gustave Flaubert's. Puvis de Chavannes' symbolist paintings might have also influenced him to write it. Erik Satie never married. In 1893, he had an affair with Suzanne Valdon, a painter and model, whom he called Biqui. He wanted to marry her and wrote many passionate letters to her. He was devastated when she left him after six months. Thereafter, he did not get involved with any other women. For years, Satie drank extensively, eventually developing cirrhosis of liver. He died of it on 1 July 1925 at the age of 59. His mortal remains were buried in the cemetery in Arcueil. During his lifetime, Erik Satie never allowed anyone inside his apartment. After his death, his friends entered his chaotic home, where they found many scores, which were either unknown or thought to have been lost. These pieces were tucked in odd places like behind the piano or in the pockets of his velvet suits.